The Sydney Morning Herald contacted me for a comment on former judge Anthony Whealy’s suggestion to imprison terrorists and terrorist advocates indefinitely till proven de-radicalised. A short quote from my interview can be read here. Yet I wish to explain my strong objection, as a scholar whom knows well the process of radicalisation within prison, against that advice. First allow me to clarify a few points: I am not here arguing on the basis of human rights. I think that argument distracts from the main technical reasons for which– as per today –indefinite incarceration is unfeasible. Said that, as I have explained in my book, today a dark-ages style approach to crime has clearly failed both in making society safer and in rehabilitating criminals. As a criminologist, I strongly believe that the vast majority of criminals can be rehabilitated with only some, due to extremely severe mental illness and/or brain damage, being beyond help. I want to start by acknowledging a problem that we have today with the western legal and penal system. Bateson would have defined the issue as being caused by a “mistake of logical typing“. The problem can be stated as such: in the western penal system we focus on crime–an abstraction–instead of the criminal, who is obviously an individual. This means that we punish theft instead of the thief. Indeed, we have a prescribed number of years of prison time for each crime, and despite there sometimes being some level of flexibility in this, we send a person to prison based on the crime and not on the nature of the rehabilitation needed to resolve the particular problems the individual committing the crime may have. This has a consequence: we have some individuals kept in prison for longer than needed and others released before they have fully reformed. I strongly advocate shifting the system away from prescribing years-per-crime and instead focusing exclusively on the individuals and their needs for rehabilitation. Sure, this would mean a system with no pre-set date of release other than “success” in rehabilitation; and yes, we would need clear parameters and a totally new approach and methodology which is beyond the scope of this short piece. So, in principle I am not opposed to keeping very dangerous criminals, and terrorists as well as traitors (as those who wish ill on their fellow citizens for political reasons are), in a rehabilitative process. The issue is that we do not have such process in place and singling out one category of crime would not only be unfair but also unproductive. As of today, indefinitely detaining those who conspire or act to destroy the civil life of our country would produce a virtual Australian Guantanamo, and an exclusively Muslim one. Considering that the minimum sentences given to such individuals is everything between 17 to 28 years, the fact that a judge asked for an indefinite detention because such criminals have not changed their way of thinking provides a good measure of the failure of our penal system. Yet ask yourself: in which way can we rehabilitate a human being? Although I do not deny that a period of isolation or controlled interaction may be needed, depending upon the individual’s psychological characteristics, the central part of rehabilitation is education with a view to reprogram cognitive processes. This, I am afraid, cannot be done from within the squalor of prison walls. Indeed, suggesting indefinite detention in the reality of prison today is only a final resort because we no longer have the death penalty, and certainly it would be just as pointless. We cannot address the specific situation of radicalised violent Muslims within our prisons without re-discussing the entire penal system. 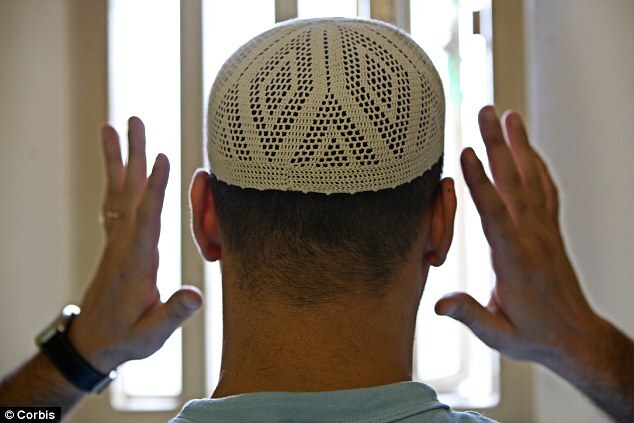 The reason being that most of these prisoners are not just ‘radicals’ but rather they also have other more common deviances (from drug abuse to violent assaults and so forth), and being ‘Muslim’ adds little to nothing to their criminal behaviour and distorted way of thinking. Hence, if Indefinite detention is not the way to go, indefinite rehabilitation is. We need only to stop viewing prison as punishment and revenge, stop punishing the crime, and instead ‘cure’ the criminal deviance. This will be never achieved as long as politicians and magistrates do not change the rhetoric. What we need is a commitment to solutions instead of illusions. ← Should Muslims Apologise for Muslim Terrorists?